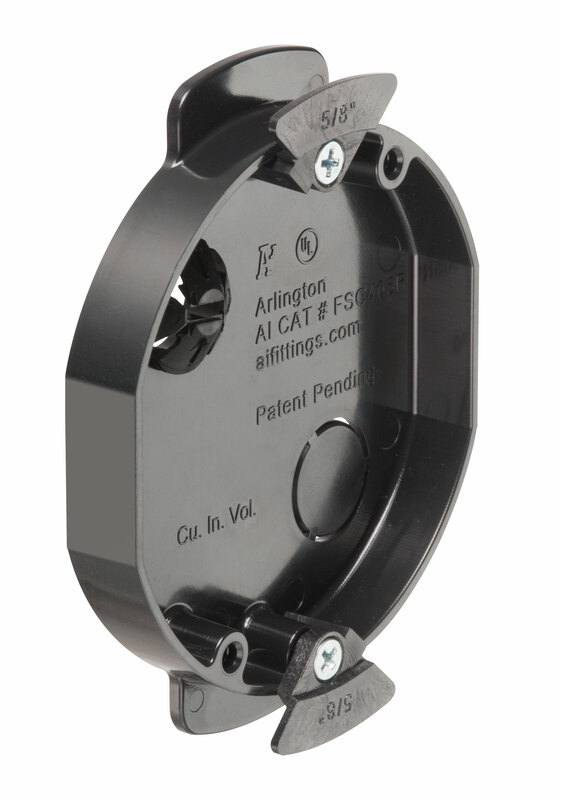 This 4" diameter non-metallic box installs in an existing 1/2" or 5/8" wall with a 4" hole saw. With Grounding Clip. Description This 4" diameter non-metallic box installs in an existing 1/2" or 5/8" wall with a 4" hole saw. With Grounding Clip.